Home / Community / Interviews / VNN’s Interview with CircusP + New Album “715” Announced! While we at VNN haven’t had an interview with a specific producer in quite a while, today, there’s quite some news! Western VOCALOID producer CircusP announced his new album 715, which is to be released on July 15th, 2017! So I, dotkrawl, used that opportunity to interview Circus about himself and his work on the album! 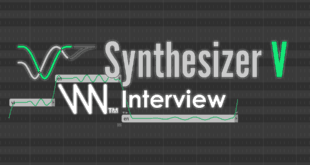 Please enjoy VNN’s interview with CircusP! dotkrawl: Okay, so first of all, I would like to thank you for your time and the opportunity for the interview. 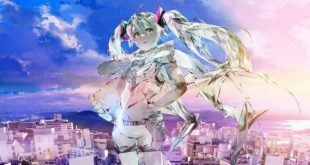 I’m pretty sure there are a lot of people out there who want to know more about you personally and your soon-to-be-released album, “715!” But let’s start this a little less specific: How did you get into VOCALOID? Circus: I’m happy to be here! But, oh wow, that question honestly has a somewhat embarrassing answer… I got into VOCALOID around mid to late 2008. I was really into The Melancholy of Haruhi Suzumiya and the ending theme to that series became a huge animation trend. One day, I stumbled upon this video of the dance using this 3D model of a girl with long blue pigtails. I wondered, “Who’s that? She sounds awful, but she’s cute!” LOL. After that, I looked her up and found out that she was a VOCALOID! And then it just kinda spiraled from there! 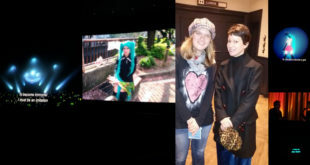 dotkrawl: I feel like that may be how many fans have found Miku and VOCALOID in general. But did you know or find out what a VOCALOID was that moment or did that take longer? I mean, a lot of people even today believe VOCALOID is an anime or a game. Circus: Well, even as a kid, I knew that research was the key to get into something… while I might not have immediately gotten into VOCALOID right then and there, when I got more curious, I used my trusty friend Google and found out pretty easily! I didn’t know about English VOCALOIDs yet, but I was around for Luka’s release. I remember being super excited to hear a VOCALOID sing in English! So, there might have been a time when I thought it was an anime. But that didn’t last very long. dotkrawl: Bless Google, honestly. Was that excitement for Luka’s release and the fact there was an English VOCALOID your inspiration to start writing music? Or did that happen completely unrelated to VOCALOID? Circus: That actually didn’t happen until 2010, which was around a year after Luka’s release… overseas producers were in the very early stages then, but I was inspired by a few UTAU producers who were making original songs! Specifically, Yesi-chan really influenced me to try out making my own music. The fact that there was an English VOCALOID to use did help, though… if Luka didn’t exist, I probably wouldn’t have started writing songs in English at all! dotkrawl: Imagine Luka never existed. Would you have used Miku for songs or would you have tried other things? Like singing yourself or just producing instrumental tracks? Circus: Hmm… I’d probably use Rin or Miki to write songs in Japanese! They’d be very, very bad, though. It wasn’t until recently that I started to focus on learning more Japanese. So my songs would have been utter nonsense! Haha! dotkrawl: Indeed, but it probably still would’ve had some charm. Haha. Now let’s move on to the present, shall we? When you start writing for an album, do you have any theme you try to apply to it? Is there any set inspiration or do you just go with the flow? Circus: I suppose I just go with the flow, at least with my past releases. Something that I like to do is post songs as I write them, and then compile them into an album after I have a suitable amount of songs! This way, it’s like people are with me along the ride of writing an album. Each album documents my growth as an artist within a time period. I’m planning on trying new things in the future with releases, though! But, for now, that’s still very early in the works. Haha. dotkrawl: It’s probably better that way. Otherwise, you would have to set your creativity to some kind of a limit by choosing a theme. For your new release, “715,” what stage of your growth as an artist does it display? Or what do you think, if someone were to ask what emotion this album was mostly driven by, would be the answer? dotkrawl: So, since you’ve departed from that “old kind of writing,” you’ve tried many new things both on the album itself, as well as on the road towards it. Do you feel that you’ve accomplished your goal to put your emotions into the songs or do you think there’s room to improve? Circus: I think that I’ve definitely become more attached to my music with my newer songs. I feel more connected and a bit more protective of them, honestly! There is always room for improvement, though. I never like to think that I’ve reached a stopping point with my music. Emotions are intricate and always progressing! Who I am two years ago is not who I am now. I suppose it’s also been really good for my own growth as a person. I’m able to pinpoint times in my life where I felt a certain way. Lately, it’s become less of an attempt to write songs to please other people, and it’s more like a diary entry with each new release. dotkrawl: So would you say that all songs are, in some way or another, connected to each other? I mean, you’ve written series before like with “Lie” and “I(愛),” and on the album itself there’s kind of a thing, too, with the tracks “Different Seas” and “Castaway” being sort of sister-songs, but would you consider the whole album as such? 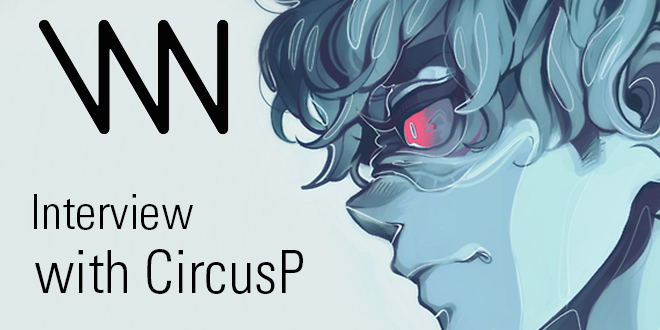 Circus: Well, each song is written with a different emotion and initially is not connected in any way… however, with each full-length album of mine, I have a character that goes along with it that is meant to represent that time in my life! I suppose that even though each song on 715 varies from emotion and topic, they do correlate in that, when put together, they create “Glacier!” The representative character for 715! dotkrawl: That’s interesting to hear and I’ll come back to that soon! But, for now, let me ask another question regarding the songs themselves: Which song do you personally believe to be the most important or intense message-wise, and why? Circus: Oh gosh, that really varies as time goes by… I honestly think “Poltergeist” is one of my best songs created so far. But the meaning is a bit hidden behind metaphors and vague lyrics. Haha. I’d say that I really like how people relate to “Copycat!” It’s a song that I wrote about something I end up doing (although, taken a bit to an extreme), and seeing other people relate to this trait as well really made me happy! I like writing songs that can connect with people, and helping people find the words that they’re feeling in that moment means the world to me. dotkrawl: I assume the people are happy as well for having someone they can relate to in hard times. Speaking of that, can you talk a bit about the collaboration song with nostraightanswer, “Patches?” It’s been a while since you did a collaboration with him, so what made you guys sit down together and do this? Circus: We’ve been planning on doing a collaboration for a while, actually! He’s a VocaloP that I really look up to, so it’s been really exciting to be able to work with him on a song. I pitched the idea to him and it was initially going to be a solo song as a sort of vocalist debut for myself! However, with the lyrics that were written, we both ended up relating to them a lot and we decided to turn it into a duet! I think that was the best course of action as it sounds super cool now! I’m very proud of it! Hopefully, everyone will also really enjoy it as well! dotkrawl: I like the song a lot myself, so you guys definitely did a great job on it! Honestly, you can feel what parts have been made by you and what parts by Kenji without it interrupting the flow! So may I ask about how the workflow felt for you? Isn’t it sort of limiting your own perspective of the song by having someone co-writing it? Circus: It definitely didn’t feel limiting at all with “Patches!” I’ve collaborated with a few different producers and “Patches” was one of the smoothest in terms of creation. We tossed around the production file back and forth, so it really felt like a song we worked on 50/50! I’ve tried that before but it’s normally very hectic and ends up making the song sound like a mess… so it was really refreshing that “Patches” happened so easily! I love collaborating with other producers because from each song I learn so much, and “Patches” definitely taught me a lot! dotkrawl: That’s good to hear! While we are already speaking of collaborations, you’ve also been collaborating a lot with the artist Sleppu recently. What’s the most outstanding part of their art in your personal opinion and why do you like it? 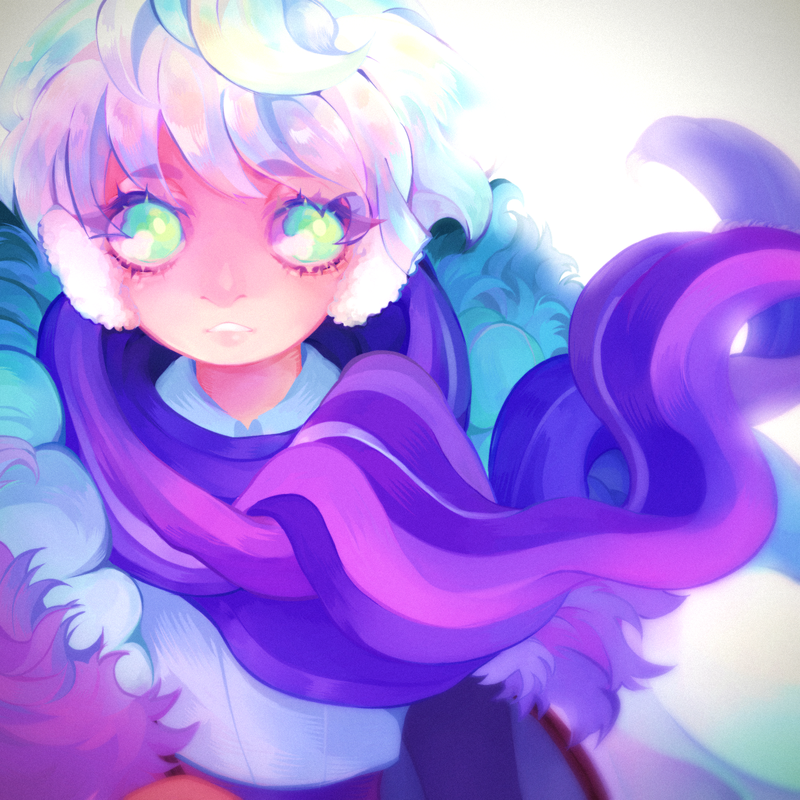 Circus: I’ve been collaborating with Sleppu a lot lately, huh? Haha. I suppose that’s because I find Slep’s art a great combination of styles that I really love! His art feels very light and soft, yet he also has the ability to add dark and gritty tones to it. The way that he draws his faces is a style that I really love and his ideas are really great! I contacted him to create the character for this album and his design was exactly what I envisioned! It’s really rare to find an artist that you are 100% on the same page with. Circus: Hmm… well, Glacier is a character that I feel represents how I’d want to present my music at the moment! I’m very into the icy arctic theme at the moment, so Glacier is designed with that in mind. I feel like this also relates to my music, as the songs kind of have a cool and distant feeling in them. dotkrawl: Does that mean that you’re going to have another character with your future releases depending on how you progress as a person? Circus: For full-length albums, that’s a trend I would like to continue, yes! However, this doesn’t mean that every release of mine may follow this… I suppose the best way to put it is that I’d like this presentation to be continued for albums similar to Lucid and 715, ones that are more so compilations of specific time periods in my life. dotkrawl: Thank you very much for your time, then! Just one last question: Is there anything you want to say to the readers and your fans? Circus: Thank you for the interview. It was a lot of fun to do! Also, I’d like to thank everyone for supporting me! VOCALOID is what I love and it’s something I’m very fortunate to be able to do. However, I wouldn’t be able to continue to release songs and albums without your support. I hope to continue to improve in my works and bring you better and better albums in the future! At the moment, I feel like 715 is a compilation of my best works yet, and I hope you all look forward to it! Thank you again! You can pre-order the album on all common distributors starting today! The album is set to release on July 15th. Also available on Apple Music, Spotify, Pandora, Deezer, Tidal, Microsoft Groove, ClaroMusica, Saavn, and Shazam! Previous VNN at Anime Expo 2017!